 Validate if your customers will buy your product before writing a single line of code. Why do you need this research? Will your customers buy your product? What features do your customers care about the most? How large can your business grow? Whether building a new product or improving an existing one, we design the research process to match your specific needs. Answering the following questions will generate hypotheses to address features and business models needed to attract customers to buy your product. Why is a customer likely to use (buy) your product? How (is it) best to scale the number of customers? The data is collected with different tools and techniques and then used to validate against the hypothesis: this is what drives our iterative process forward, or causes us to revaluate and reassess the original model. Continue confidently with design and development phases, knowing your product is correctly targeted for your customers.